The Light was founded by John Sullivan and Keith Pullinger, who have extensive experience in the cinema industry and property development business. The Light has been established to capture an important element of the UK cinema market. 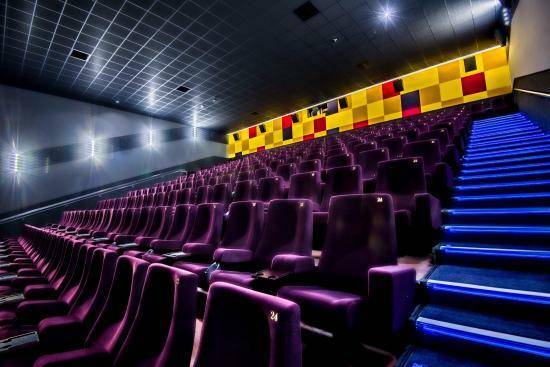 This new cinema concept targets all socio-economic categories but with a particular emphasis on the growing cinema audiences within the A, B and C demographics, families and also the mature market. The Light seeks to create a dynamic cinema offer, exploiting the flexibility of digital cinema and offering wide range of on screen content including broadcasts of live arts and sports programmes, with supporting food and drink experiences that appeal to a market that has felt alienated by the predominantly youth targeted ‘popcorn and cola’ multiplexes prominent in recent years. The Light was launched in Bucharest, Romania in October 2008, with a 7 screen, all digital cinema – the second all digital site in Europe! This was followed in July 2009 with an screen cinema in Halle, Germany. The Light opened its first UK cinema in New Brighton in December 2011. The 8 screen, all digital cinema is part of the Neptune Groups development of Marine Point, a key part of the regeneration of New Brighton. In Q1 2013 our 8 screen, all digital cinema opens in Wisbech as part of the major Tesco development in the town.